Although covering less than 110,000 sq. miles, Ecuador contains one of the most varied geographies in South America. 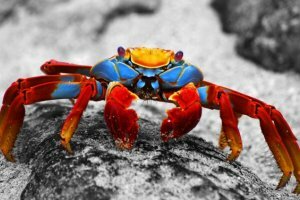 For years travelers regarded Ecuador as a gateway to the Galapagos Islands; however in the last decades, mainland Ecuador was “re-discovered” and earned its rightful place among at the top of the tourist attractions in Latin America. 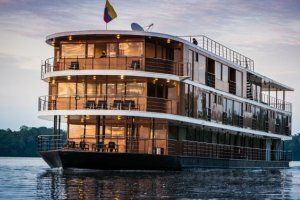 Together with Spiced Destinations, explore the country’s four distinct regions: the Andean Highlands, the Coastal Tropical Plains, the Amazon Basin and the Galapagos Islands. Size (land area): 276,841 sq km (106,889 sq mi), Ecuador is slightly smaller than the State of Nevada or Italy. 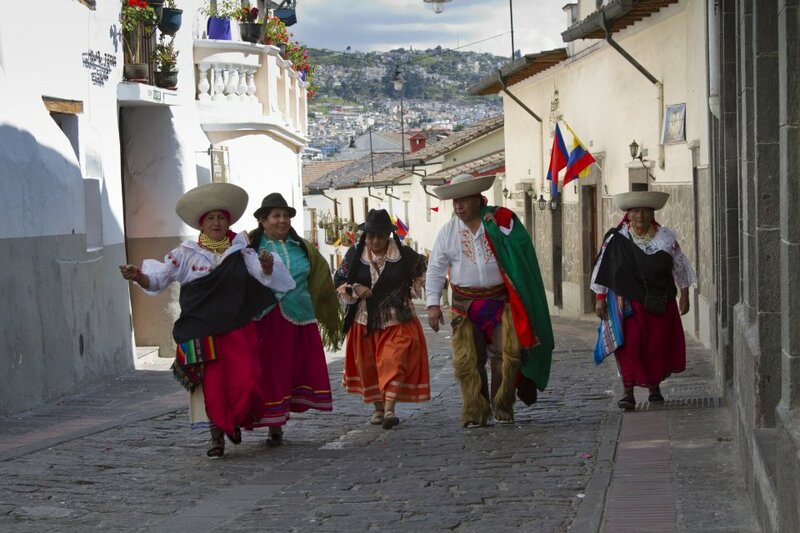 The people: Of Ecuador's close to 15 million inhabitants, those in the highlands are mainly mestizo, a mixture of European and Native South American extractions. 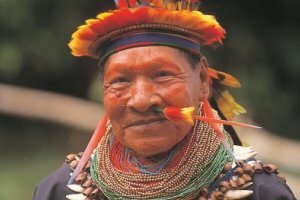 Indigenous peoples live mainly in the Andean highlands and in the Amazon regions. Coastal dwellers are descendants of Native South Americans, Europeans and Africans. Banks & Business: Most city offices and shops open from 9:00 to 18:00 Monday through Friday. 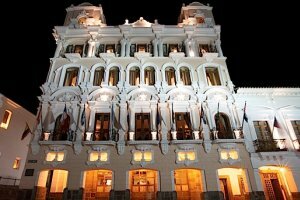 Currency exchange facilities are open week days and Saturday morning in major hotels. Banking facilities are not available in remote areas. U.S. dollars are accepted throughout the country. ATM's are easily found throughout the main cities. Cash advances can be made at most banks or ATM's. Currency: Ecuador's currency is the Dollar of the United States of America. U.S. dollars are used for all transactions. There is no restriction on the amount of foreign currency or travelers checks brought into Ecuador. Customs: Each passenger is allowed two bags of up to 70 pounds (31.8 kilos) each, plus carry-on luggage, photo or video camera, and binoculars. Professional filming equipment, diving and climbing gear require special permits. Electricity: Identical to the USA. 110 volts, 60 cycles AC is used. Most outlets are for two flat prongs. It is useful to carry a small flashlight. For TV and video equipment, Ecuador uses the NTSC system. Language: Ecuador's official language is Spanish, but Kichwa, the lingua franca of the Inca Empire, is the tongue of the majority of the Indian population. English is spoken in major visitor centers. 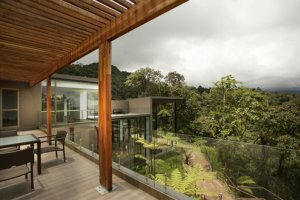 Entry & Exit Requirements: If you are a U.S. traveler wishing to enter Ecuador, you must present a U.S. passport with at least six months remaining validity. Ecuadorian customs officials also require evidence of return or onward travel, such as an airline ticket. If you are traveling on a regular passport for tourism or business, you will not need a visa for a stay of 90 days or fewer per 12-month period. If you are planning a visit longer than 90 days, you must obtain a visa in advance of your arrival. Nationals of the following countries: require a visa and should approach the Consulate of Ecuador of their residence (list may change without notice): Afghanistan, Algeria, Bangladesh, Costa Rica, Cuba, El Salvador, Guatemala, Honduras, India, Iran, Iraq, Jordan, Lebanon, Libya, Nicaragua, Nigeria, North Korea, Pakistan, Palestine Authority, People's Republic of China, Sri Lanka, South Korea, Syria, Tunisia and Vietnam, Yemen. In order to depart Ecuador, you must present a valid U.S. passport. If you are departing via airplane, you will be charged an airport tax (payable in U.S. dollars only); the price depends on the city from which you depart. 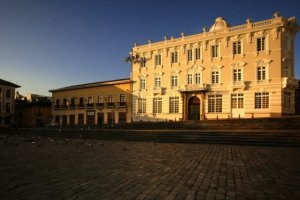 If you stay in Ecuador beyond 90 days or beyond the terms of your visa, you will be charged a substantial fine and will be barred from re-entering Ecuador for nine consecutive months from the date of your departure. Taxes: There is a sales tax added to purchases; hotels and restaurants charge sales tax and service. There is also an international departure tax (approx. $41 per person) is to be paid in U.S. Dollars at the airport. Food: International cuisine is available throughout the country, but try some of the Ecuadorian specialties: humitas and tamales (made of corn and wrapped in leaves), llapingachos (fried mashed potato patties with cheese), ceviche (a saucy shrimp cocktail), and locro (a soup of stewed potatoes and cheese topped with an avocado). There are many excellent restaurants in the main cities and a restaurant guide is distributed free to all visitors upon arrival in Ecuador. Tipping: As in many places, gratuities are customary, but entirely at guest's discretion. Guidelines for tipping will be found in the "Welcome Kit" you receive upon arrival. Time Zone: Local time on the mainland is Greenwich Meridian Time minus 5 hours (Eastern Standard Time in the United States). Galapagos time is GMT minus 6 hours. 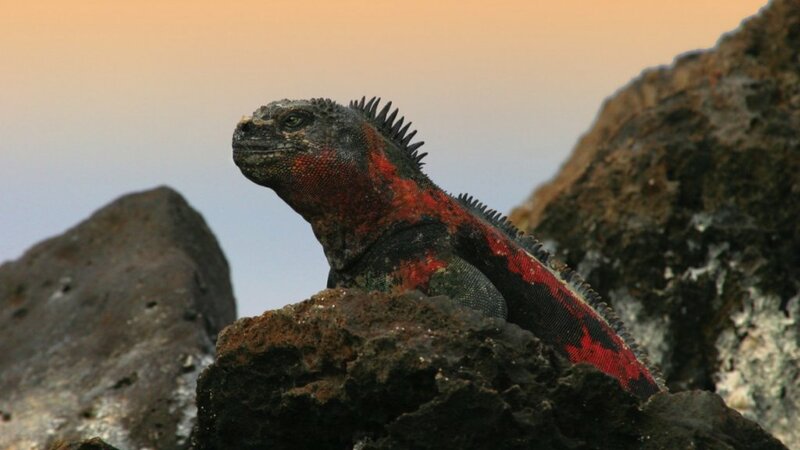 Park Fees: Visitors to the Galapagos Islands, the Amazon rain forest, the Cotopaxi National Park and other National Parks and Natural Reserves must pay entrance fees. Such prices vary and are not included in tour rates unless otherwise mentioned. Health & Vaccinations: No inoculations are required for entry. Travelers with heart conditions or high blood pressure should check with their physicians about high-altitude travel, as well as preventive measures for visiting tropical areas. Bottled water is advised and available everywhere. 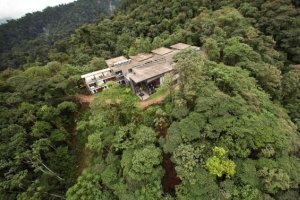 For guests traveling to Ecuador's Amazon Region, a yellow fever vaccination is required. Drinking water: Bottled mineral water, with or without carbonation, is available at all hotels, ships and lodges. Ecuadorian beer is excellent, and bottled soft drinks are available everywhere. Coffee and tea are usually served at the end of meals. Clothing: Lightweight woolens are ideal for the highlands; and warm jackets are essential after dusk at high altitudes. Cottons for the Amazon, Pacific lowlands and Galapagos. Dress is informal. Dressing in layers is ideal. Do not forget swimming wear and comfortable walking shoes. Children: Some tours and programs are not suitable for smaller children, and thus not recommended for them. 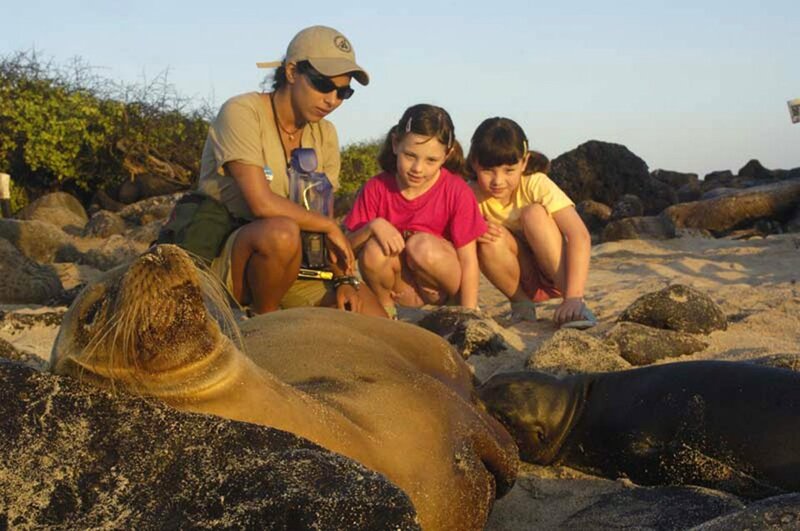 Children over eight will have no problem in the mainland or in Galapagos. Hotels in the major cities cater to children of all ages, providing children's menus, baby sitters and extra beds/cribs. Ecuador is divided into four different geographic zones: the Amazon, the highlands, the Pacific lowlands and the Galapagos Islands. 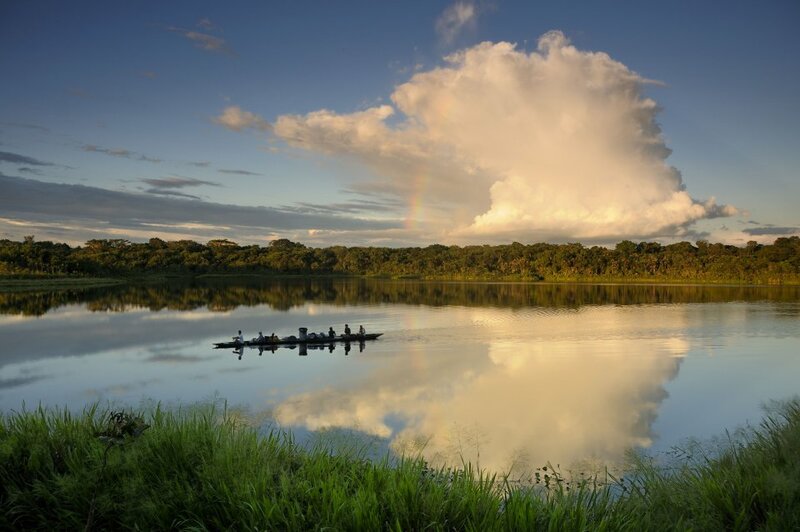 Since Ecuador is located right on the equator, the country as a whole experiences no extreme weather changes. Rainy seasons vary in each zone. 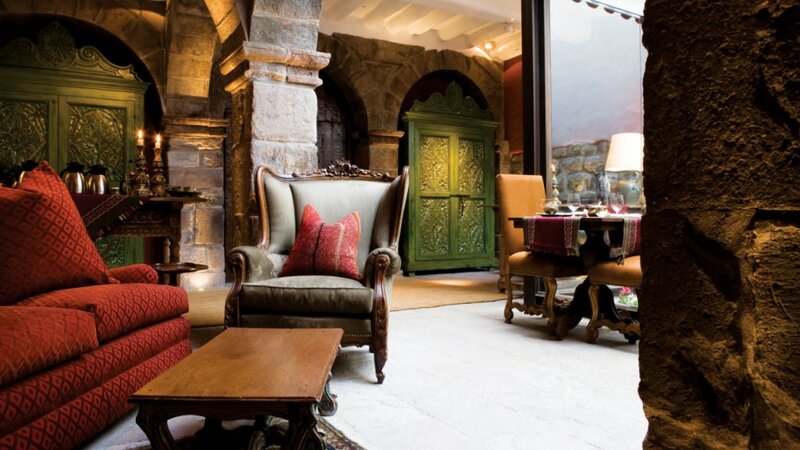 The geographic location of Ecuador makes it a perfect destination for a year round travel. Seasonal differences are reflected mainly in variations in rainfall as the temperatures variations are minimal. 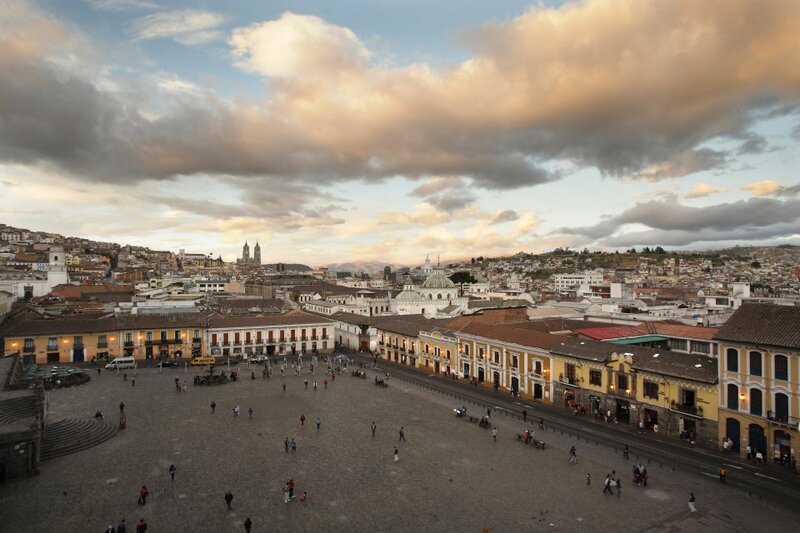 In Quito located at 9,600 ft (3,000 m) the temperatures tend to be moderate and “spring like” throughout the year. The average temperatures range from 55ºF (7ºC) at night, to 78ºF (26ºC) at noon. The average temperature between the warmest month and the coolest month varies only by 0.5 degree Fahrenheit. It tends to be drier from June to September and wettest from January to May. While traveling in high elevation it is very important to wear a sun hat and to apply plenty sun screen lotion, of a high SPF, (due the intensity of the sun). However, as soon as the sun sets, the temperatures will drop immediately and a warm coat is recommended (as well as a winter hat & gloves in the extreme elevations of over 10,000 feet above sea level). Along the Ecuadorian Coastline, the climate is mostly hot and humid with average temperatures ranging between 76º and 90ºF. Here as well, the Dry Season usually lasts between June to December, when the air is cooler and it is often overcast with a mist that can hide the sun, for up to three months. To Enjoy the beach, we recommended to travel during the Rainy Season (December through April). This time of the year, offers bright sunny days with occasional heavy downpours (mostly in the afternoons). Here as well, use extra caution when exposed to direct sun. Mostly hot and humid throughout the year, averaging 80ºF , with frequent showers. Those, often help to cool the air and expose beautiful blue skies. Expect more rain during April through September. 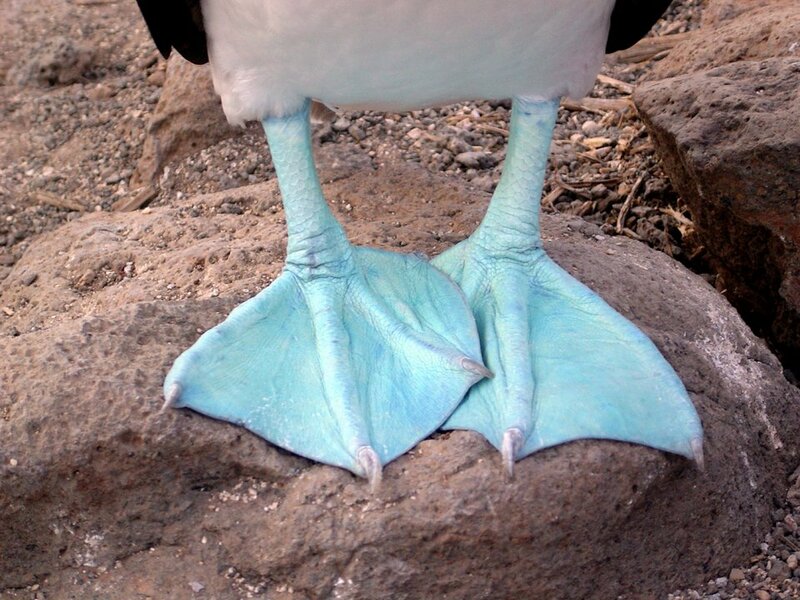 Visitors of The Galapagos Islands enjoy a subtropical climate regulated by a cold Ocean Current, traveling north from Antarctica: The Humboldt Current, as well as the warm El Niño Current. 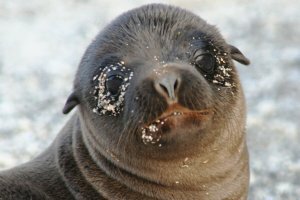 Most of the Galapagos babies are born around April through May, while the Mating Season is between Septembers to November. The islands are indeed a year round destinations, offering a different scenery and nature experience, each and every season. The warmest months of the year are December through May with temperatures reaching the upper 80ºs F (31ºC ). While this is also the rainier season, the shorelines of the islands as well as the lower elevations, (these are the area where most travelers visit during their Galapagos tours), still offer beautiful blue sky with occasional haze. The ocean temperature is higher than the rest of the year, and the water is calmer, offering better conditions for snorkeling and bathing as well as a smoother sailing. The Dry Season is from June to November, offering sunshine but cooler days with sometimes cloudier skies. The air temperature usually stays around the upper 70’s, while the ocean temperature drops to as low as 68ºF (20ºC). 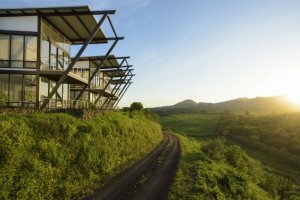 Galapagos Safari Camp is a new way to see the Galapagos, either in addition to a cruise or as unique destination in itself. Our eco-luxury tented camp, pioneering in Latin America, follows the African safari tradition in which guests enjoy total comfort under canvas while experiencing nature in its purest form. 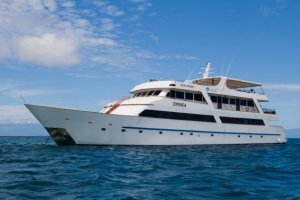 A comprehensive 10 day Galapagos Expedition aboard the 100-passenger Galapagos Legend. 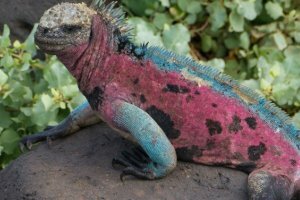 See prehistoric iguanas, giant tortoises, exotic birds, plants, beautiful landscapes of volcanoes, lava cones and magma flows. 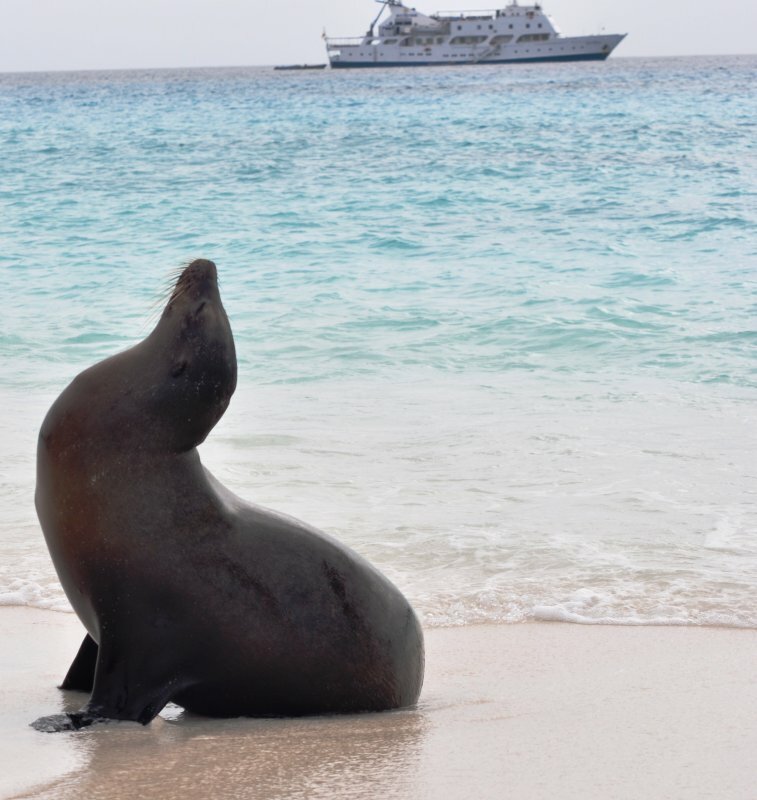 The Galapagos Expedition includes unforgettable experiences aboard the Legend, all inclusive packages with the best of Ecuador´s astonishing natural sites, its rich culture and history, the variety of adventure activities and a powerful intercultural exchange. All in the most bio-diverse country in the world, Ecuador! 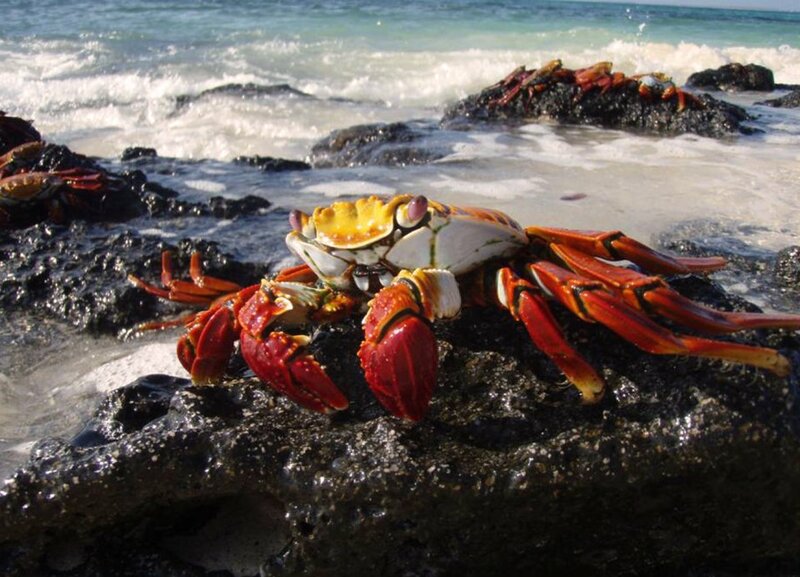 Take in all of the natural wonders of the Galapagos Islands as you traverse the clear pacific ocean and become struck by the same beauty that Charles Darwin encountered over 180 years ago. The picturesque views, pristine waters and all the natural charm that these islands have to offer aren't to be missed. 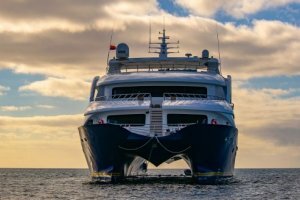 The Galapagos Sea Star Journey is an awarded cruise by the World Travel Awards in 2017. 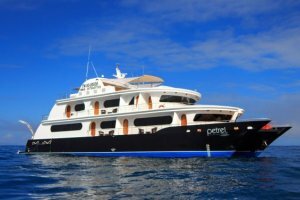 This exclusive boutique yacht offers a real in-depth experience of this unique World Heritage site. Our yacht combines world-class privacy and comfort. 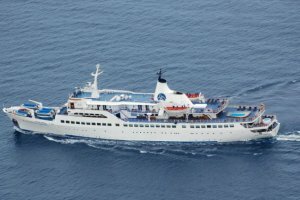 The Sea Star Journey is the Leading Boutique Cruise of South America. Unparalleled comfort and intimacy at this luxury 16-passengers catamaran! 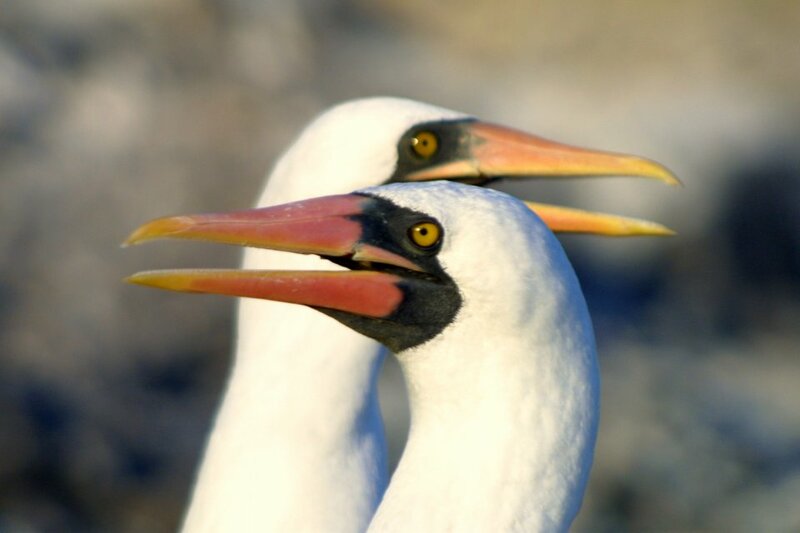 Explore the Galapagos Islands in style and chose between several different excellent cruise itineraries. 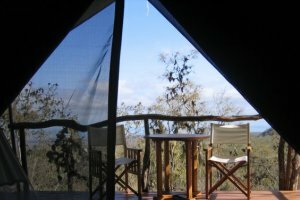 Galapagos Safari Camp is a new way to see the Galapagos, either in addition to a cruise or as unique destination in itself. The eco-luxury tented camp, pioneering in Latin America, follows the African safari tradition in which guests enjoy total comfort under canvas while experiencing nature in its purest form. M/Y Grace’s stellar past includes ownership by millionaire tycoons, royalty and a stint in the British Navy. However its most glamorous moments were celebrated when Prince Rainier and Princess Grace of Monaco, received the yacht as a wedding present and spent their honeymoon getaway sailing it. 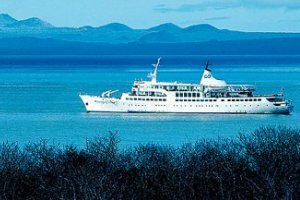 Few years ago the yacht has begun a new era in her rich history and her best days are here as an icon in the Galapagos Islands.